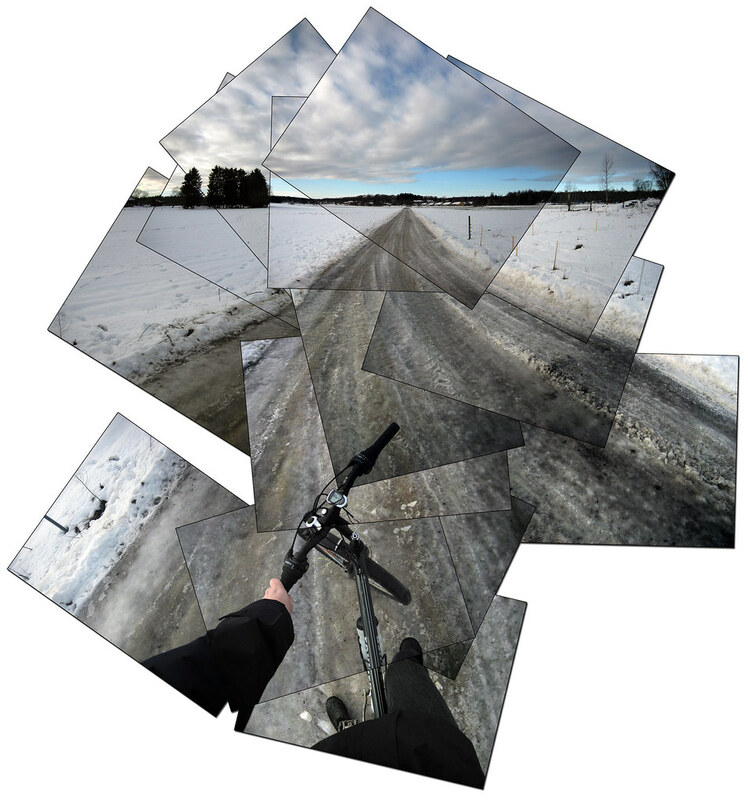 Daily photos, portraits and stories from Haninge in Sweden. Are you like me, do you eat fish a couple of times every week? Here's my latest fish dinner. 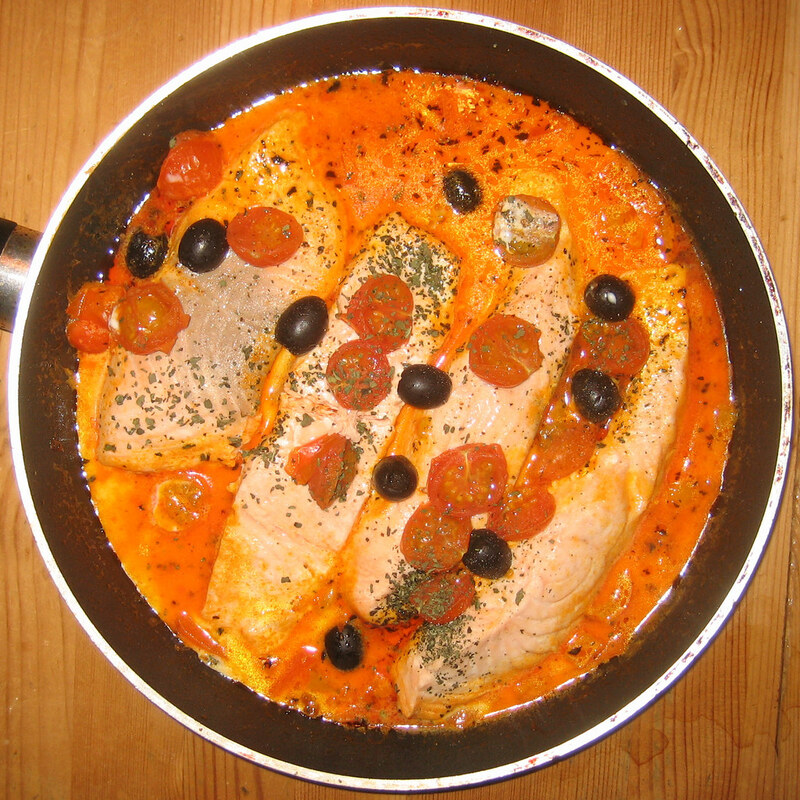 Salmon with some olives and tomatoes. With potatoes and a glass of red wine. Did I mention that I havent been to a McDonald's in over 20 years. The reason the photo is square is because it's for the Squared Circle group at flickr. There's more than 44 000 like this one over there. 365 of them are mine. These photos should always be seen as a slideshow. Two of the new houses at Stora Arken, or The Big Ark in Handen. Had to climb up on some rocks in the snow to get a shot from this, the backside of the houses. 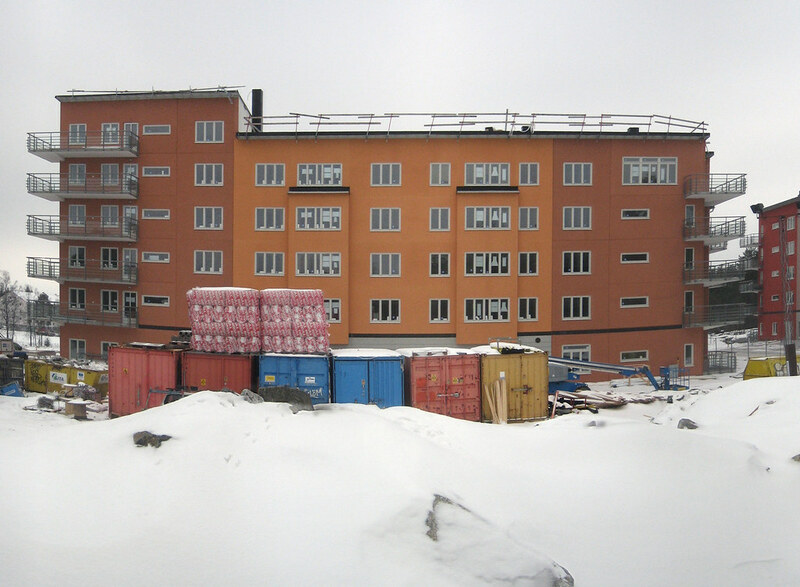 The red building to the right is finished and a people started moving in here in December 2006. I used this plug-in to fix the photo that is a cropped version of the panorama photo. If you understand swedish there's more info at the builders site. If not PRESS HERE for photos from inside the apartments. This Sunday is "stay indoors and read a good novel Sunday" so that's what I'm doing. 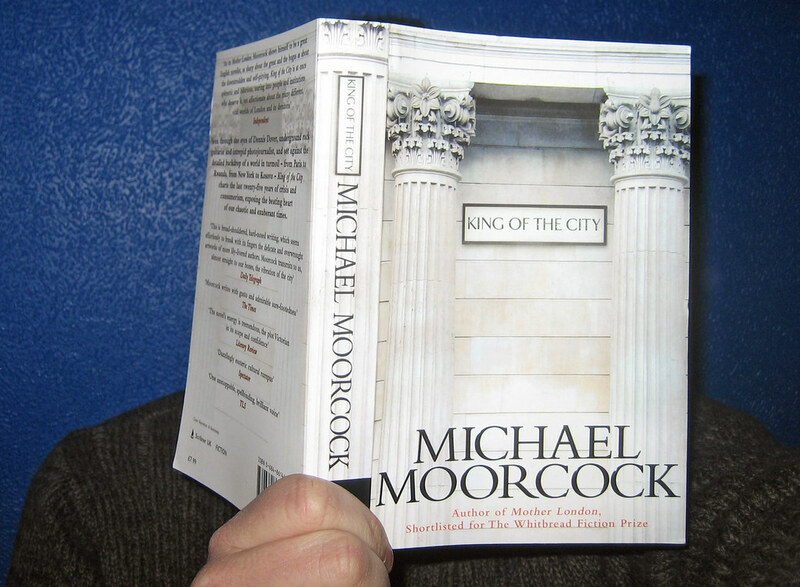 I am reading King of the City by Michael Moorcock. A book about what's wrong with London and the world today. It starts with a papparazzo photographer up in a hot air balloon trying to get a few shots of a"dead" billionaire. Someone's car being towed away. This is "Downtown" Tungelsta. To the left the kiosk/grill/Post Office. In the background the old Station House. Far away you can spot the number 835 bus just leaving the bus stop across the road from the Pizza Place. 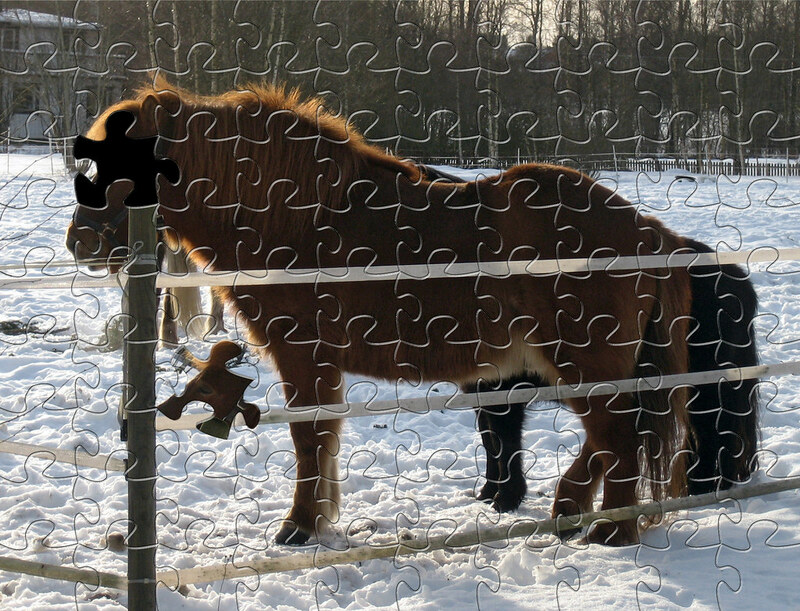 These horses belong to Linda Pettersson. She has a horse show called Linda and the Ministars. 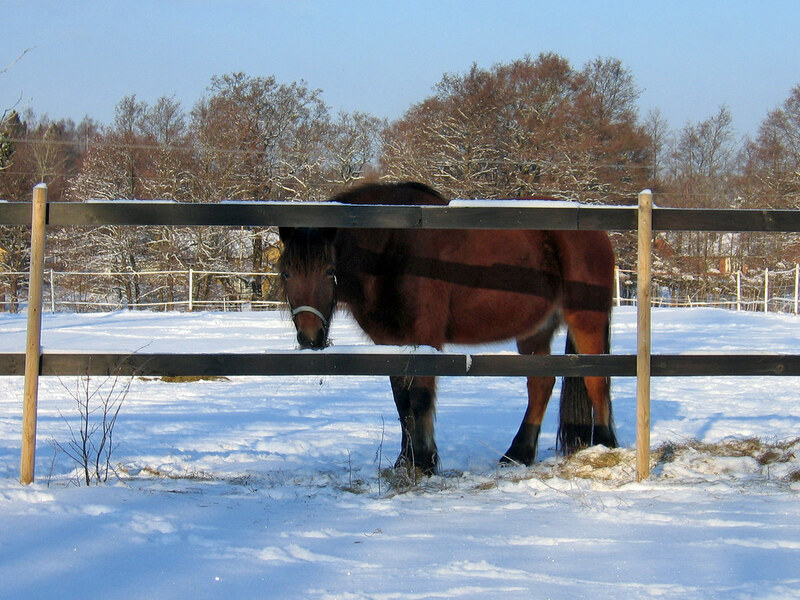 Linda moved to Tungelsta as a teenager after her neighbours in Tyresö complained about the horses. When she was six months old Linda had her first heart surgery. At the age of nine she had another operation this one performed in London. In 1999 at the age of 20 Linda was voted Lucia of the year. 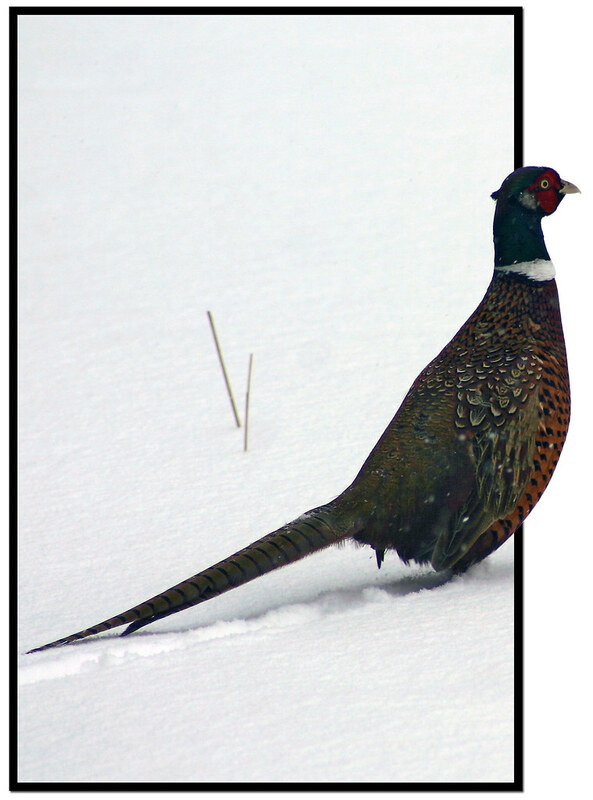 The Common Pheasant was imported to Sweden many years ago. Probably from Asia or South East Europe. They are not the toughest birds that you will ever meet. During the days they will be hiding in the bushes most of the time. They can reach 50-90 cm in length including the long tail. 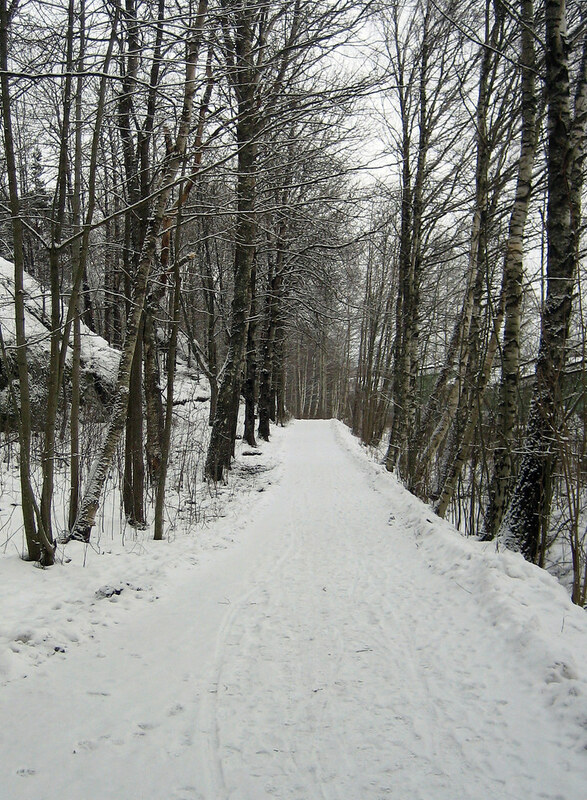 Took a promenade around Ålsta in Tungelsta. Lots of construction going on in that area. 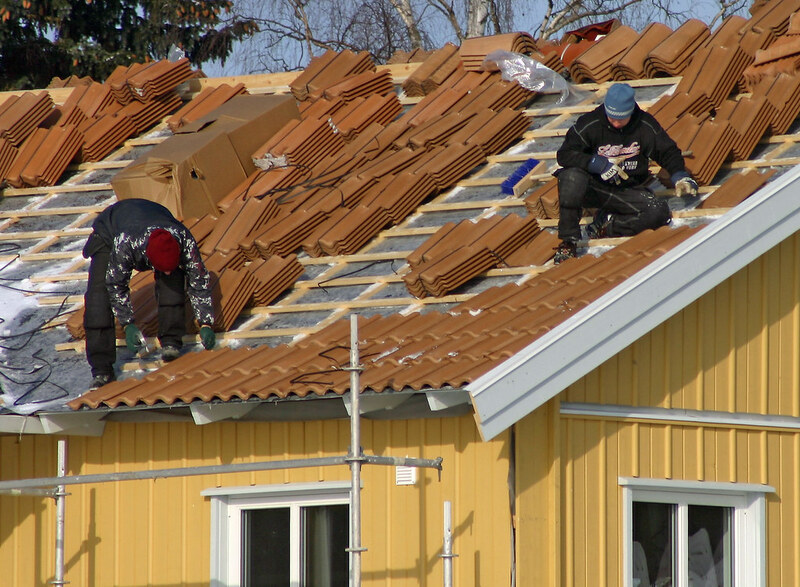 Here are two guys working on the roof of the latest prefab house at Kryddgården. If you zoom in on the guy to the right you can see a name on the gloves, so he is probably called Kim.PRESS HERE to see the same houseone week ago. These houses arrive on trucks and are up within a few hours. 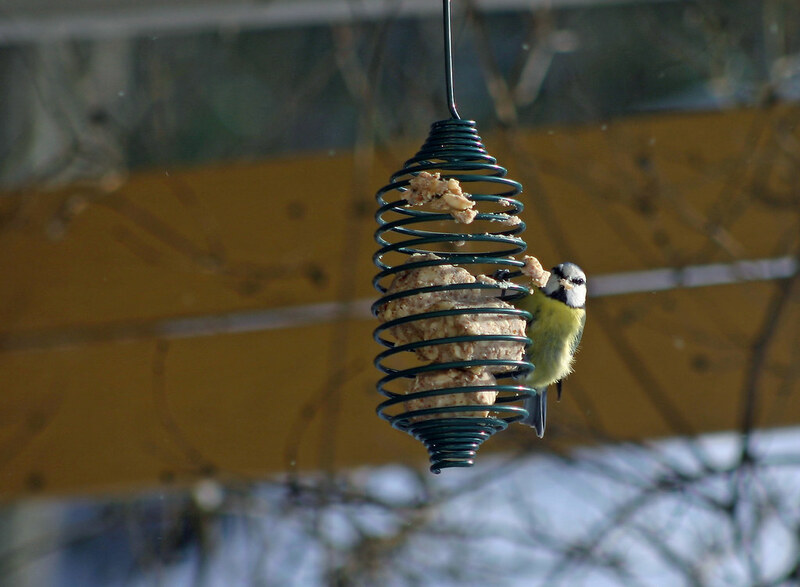 What we like to call a Talgoxe (Parus major), was the first bird to spot the new bird feeder at Bergdalen today. Here is a look at the photographer. The horses live in Tungelsta btw. I took the photo a few days before the flu took command of my body. Still not back up and running after the flu so I'm digging into my flickr archive. This is a shot that I took two years ago. Not much snow that winter. 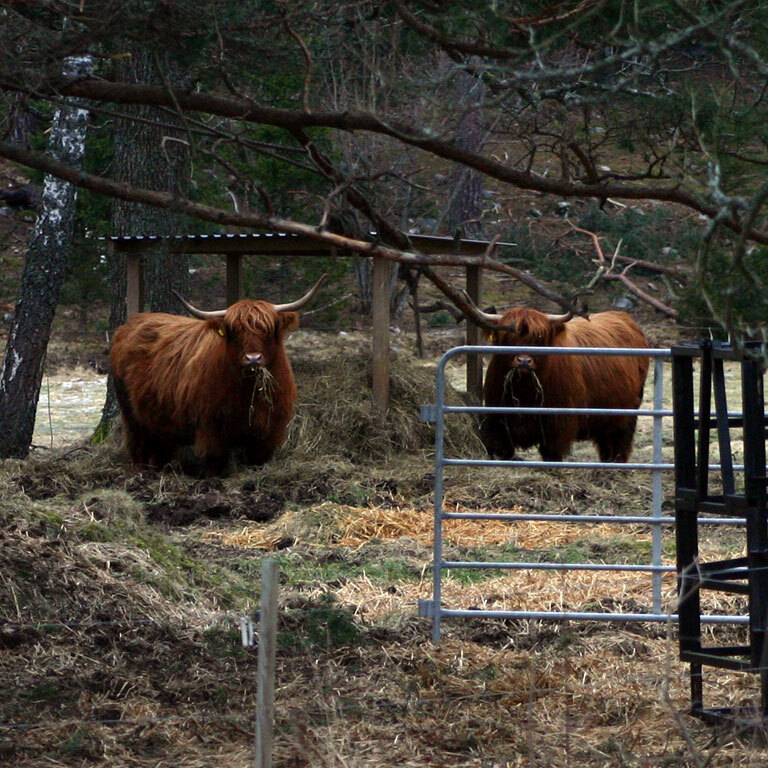 Scottish Highland Cattle enjoying their lunch just a km away down the road from my place. 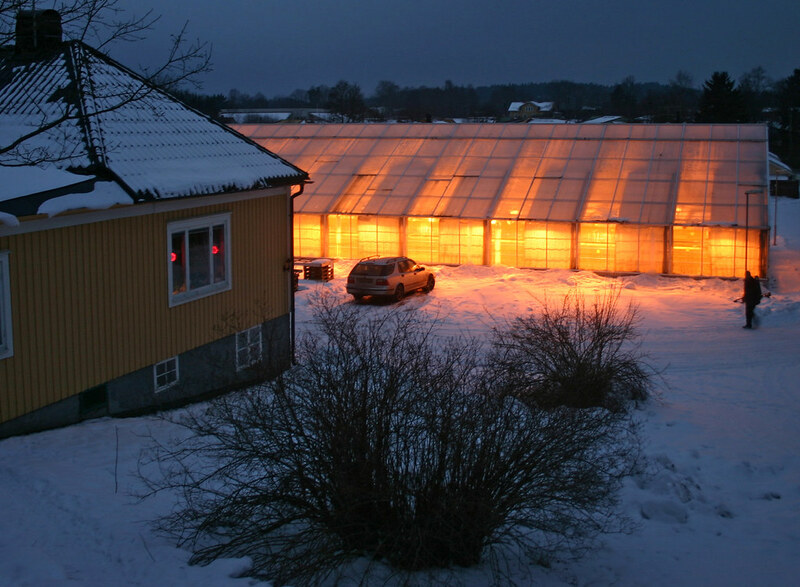 They live in a barn just off the Södertälje Road. Did I mention that this is a rural part of the country? But it's no more than 30 km from Stockholm. 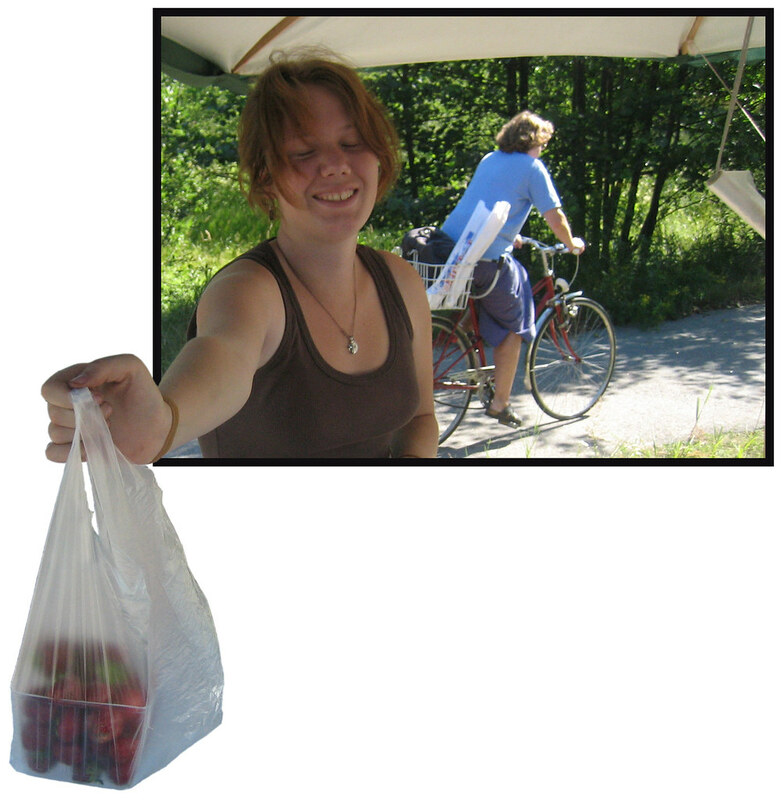 From a warm day back in July 2006 when I stopped at a fruitstand and bought some strawberries from this girl. This is a technique called Out Of Bounds. Check out the flickr group for more photos and tutorials. This photo does of course look better bigger and on a white background. 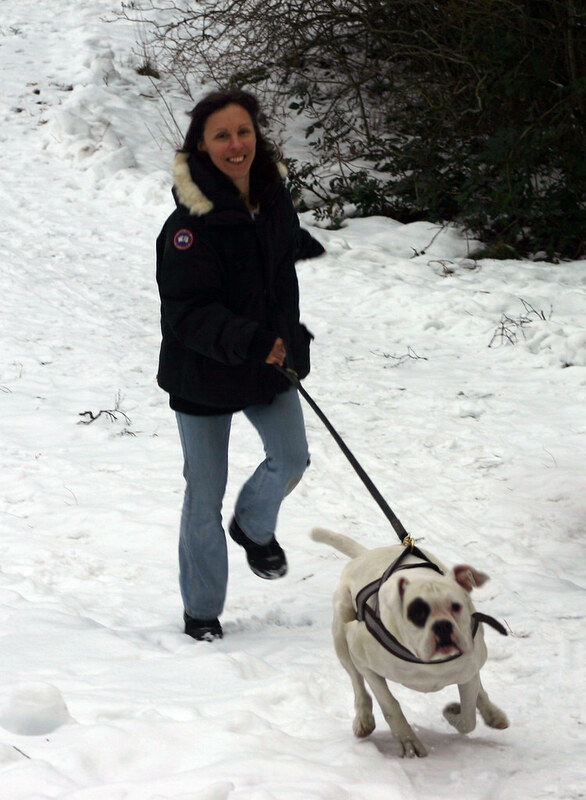 The neighbours crazy dog Benny was out walking with Danuta when I came home to Bergdalen this afternoon. The big white boxer saw me and decided it was time for a chase. Not much Danuta could do as he is very strong. He caught up with me in a few seconds.I normally print these dog shots and give to the neighbours. They need to buy another photo album now. Gray Skies. Snow. Winter. Cold. Flu. Bed. Bored. Tired. 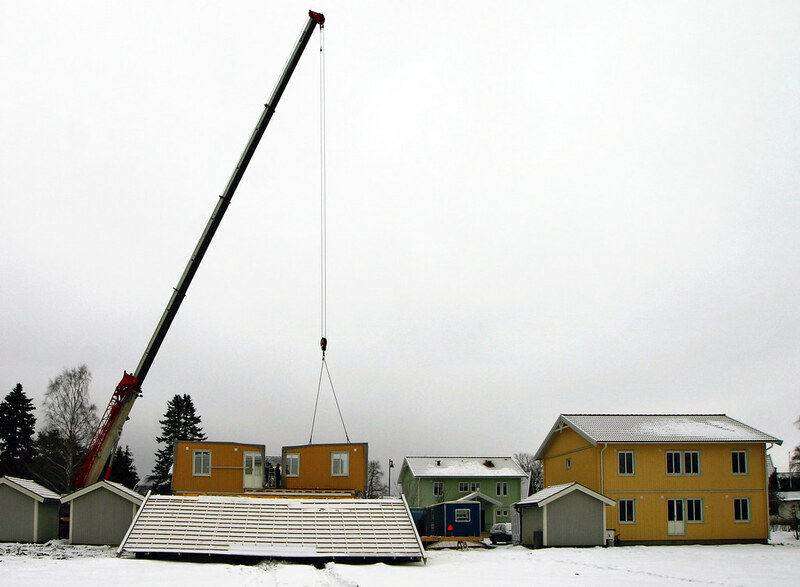 The latest prefab house to arrive at Kryddgården in Tungelsta did so this morning. I can see the crane from home so I know when it's time for an update to my Housing Project set. Still in bed with the flu. Coughing like mad. So I will dig into my flickr archive for another photo. 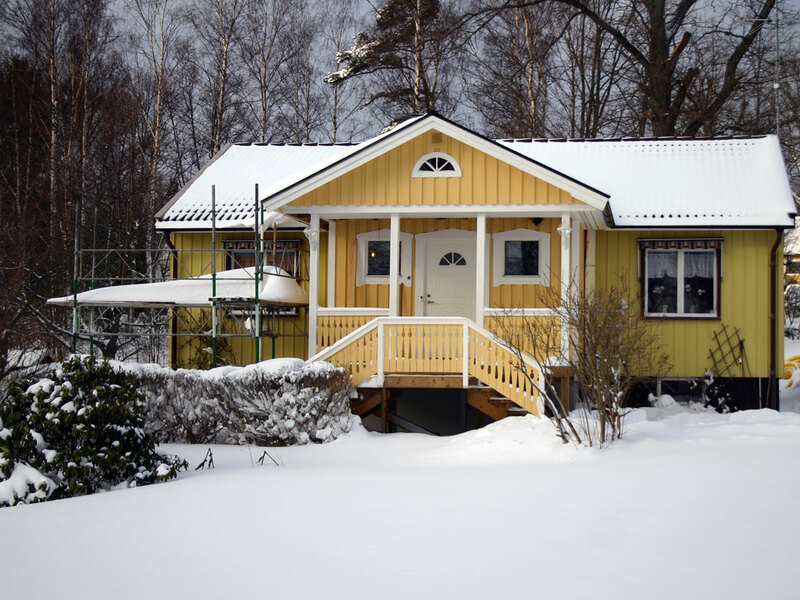 Here is a typical Swedish home. From Lida in Haninge. An area with lots of smaller houses. This family doesn't like change, so when they decided to re-paint their house and build a new porch they stuck with the yellow. He doesnt really work on Sundays. But I'm in bed with the flu so I'm digging in to my archives. This is how the mail-man delivers in my neck of the wood. When it gets warmer they will also use their yellow bicycles. 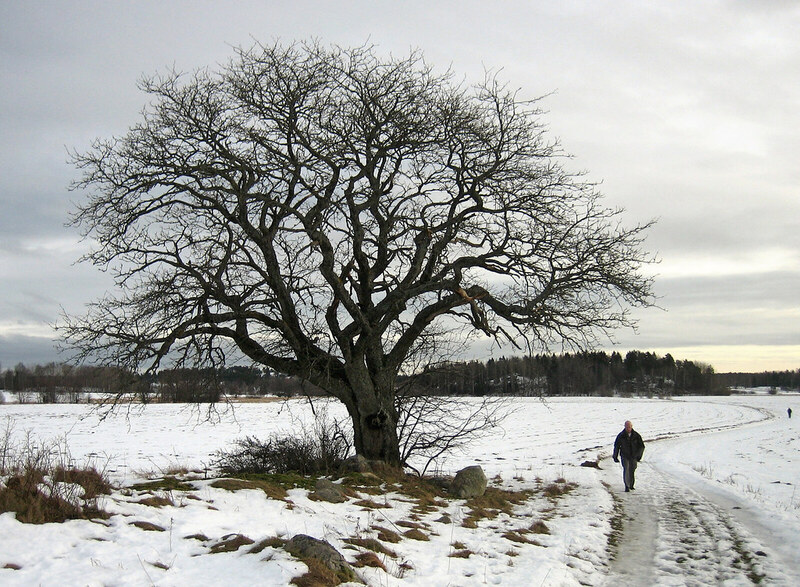 On my winter promenade this afternoon, up to the old oak at Välsta, I could see the paragliders circling in the sky. I only had the canon ixus with me so this was as close as I could come. It was quite a cold day -5 when I took these photos. 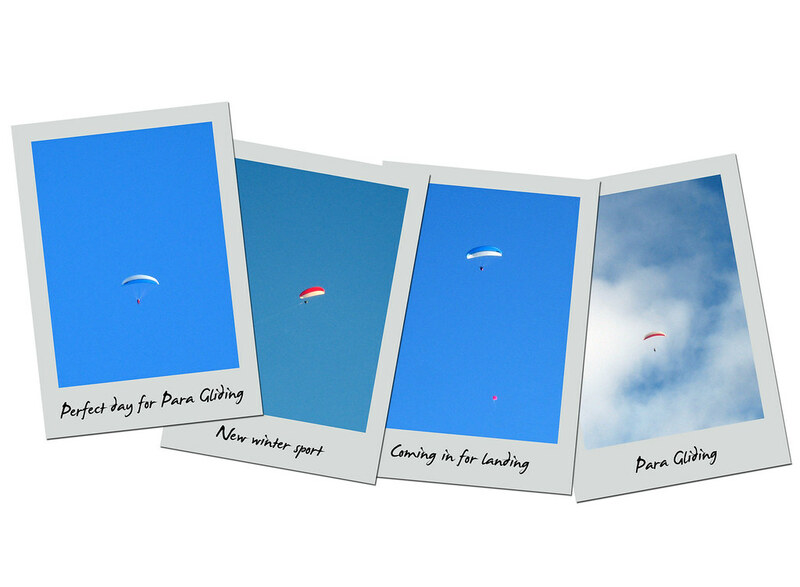 Last time I met the paragliders here was back in July. I took a photo promenade in Stockholm yesterday. 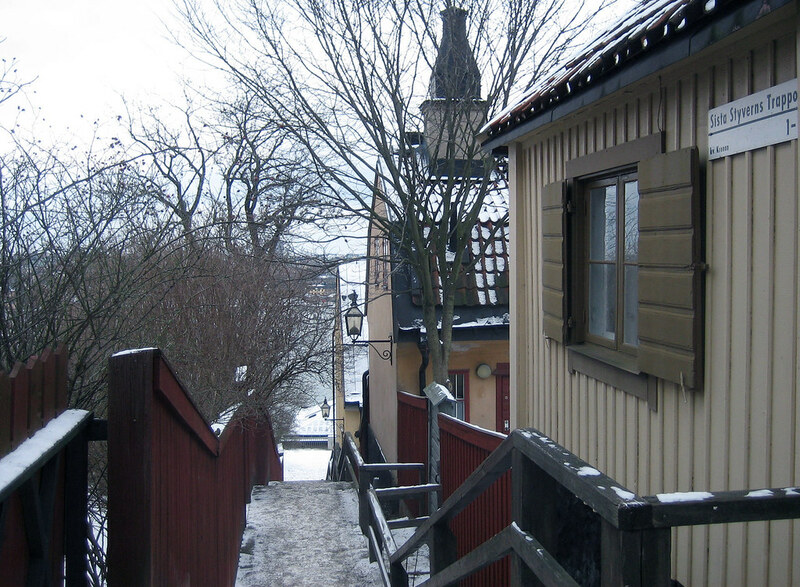 On Södermalm. Found some public art work as well as street art and more. 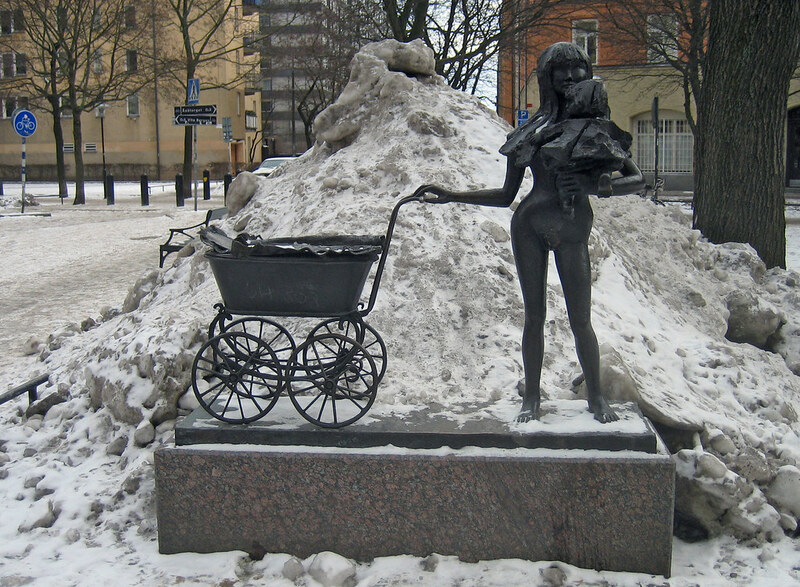 This is a piece called Jannica and the doll wagon, the artist is Gunnel Frieberg, and it is located at Katarina Bangata. It's good to be able to leave Haninge every now and see what is happening in Stockholm. It's been cold for a few weeks now. 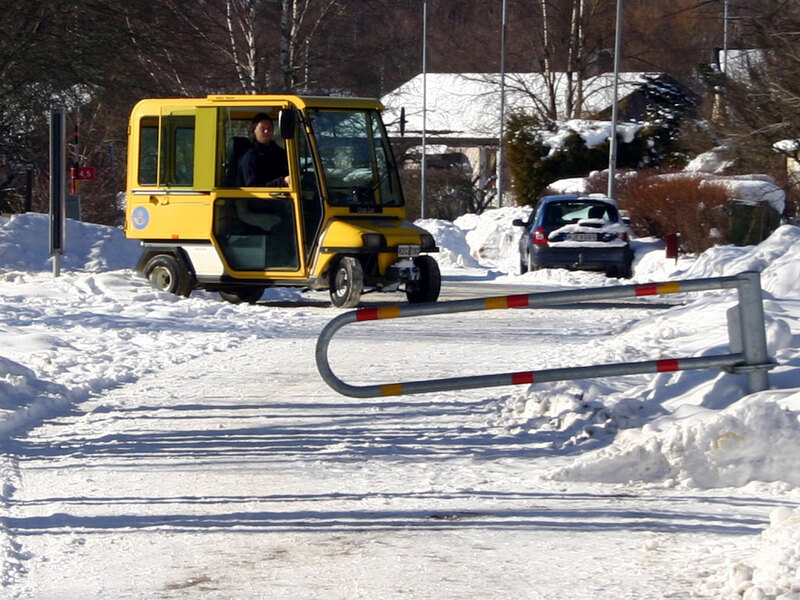 For all commuters in the Stockholm area winter means waiting for buses and trains that never come. Every winter it's the same story. 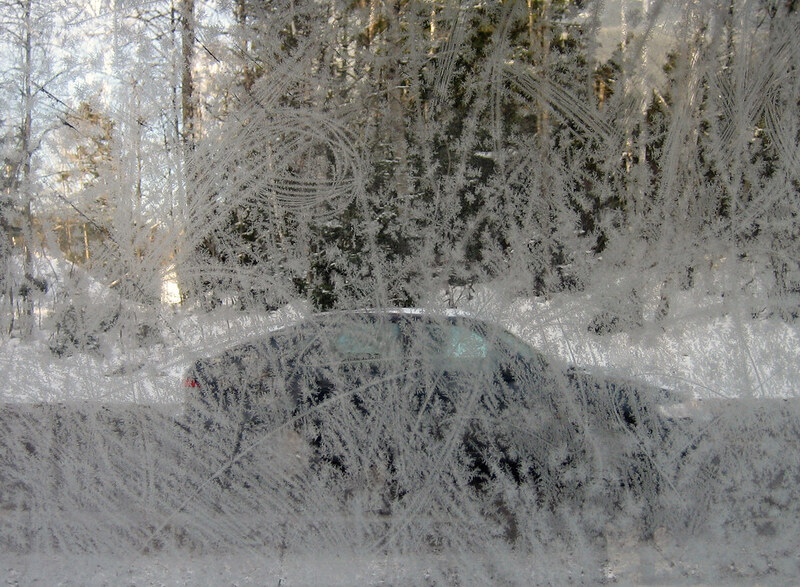 This photo is from a ice cold bus stop at Lida in Haninge. That is what Johan can say as he was the only one who caught any fish. 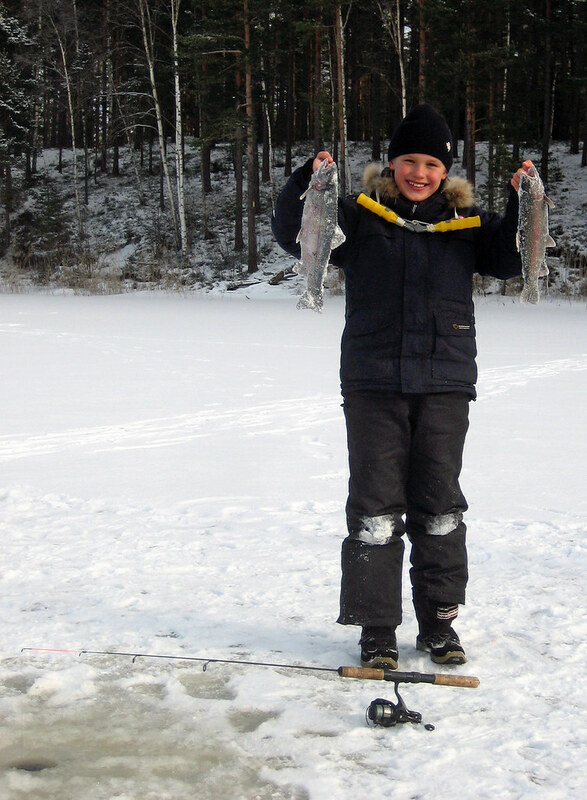 Here he is with two trouts that he got when ice fishing at Lake Rudan in Handen today. The ice fishing season got under way last Saturday. I talked to a few people and one of the experts told me that it is now safe to cross the lake as the ice is thick enough. If you would like to know more about the sport Wikipedia has more info. Feeling a little bit under the weather today. This is the only shot I've taken all day and that's just because I have to. It's a short cut in the forest between Håga and Västerhaninge and I take one photo here every week for one year. PRESS HERE to see all 18 photos so far in this set. 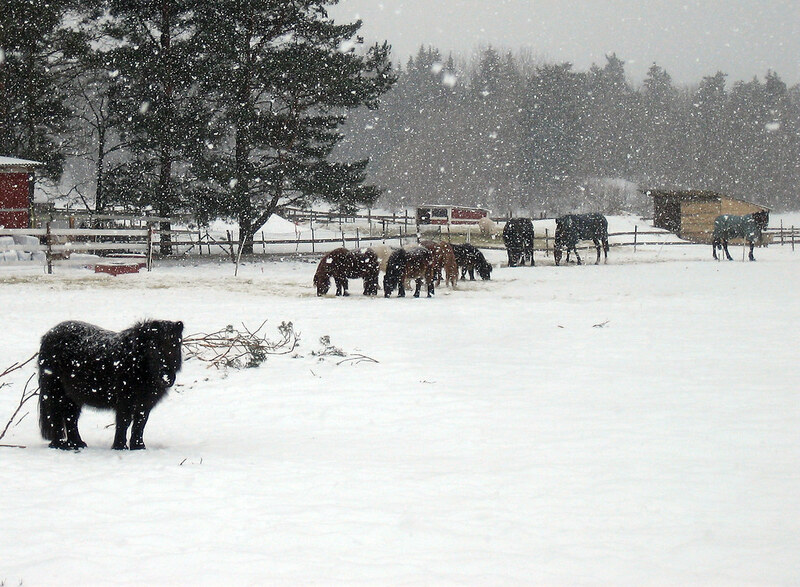 There are many horse farms in Tungelsta these days. As the greenhouses has disappeared the horses have taken over. Whenever I'm out walking I often meet horse back riders or as here a horse having lunch at Stav. Bigger photo. Another Sunday promenade. And another walk up to The old oxel. The path was a bit icy today. It is possible that the man walking towards me on the path will have a flickr account soon as I told him about the site. And as always when I take someones photo, I gave him a moo mini card with my contact info. Another thing; he didn't have a digital camera. That will soon change I hope! This was the scene today as I entered Stabergs Road in Nedersta on my way home after a bike ride. A bit icy. This road is only used by the people who live here so it's not in mint condition! I made it home alive. I'm guessing you don't have any Roundabout Dogs where you live! It all started in the city of Linköping last year when an installation by the artist Stina Opitz was vandalised. A few days later a new dog appeared in the roundabout. That was all it took to get this new phenomenon going! Since then they have started popping up all over the country. 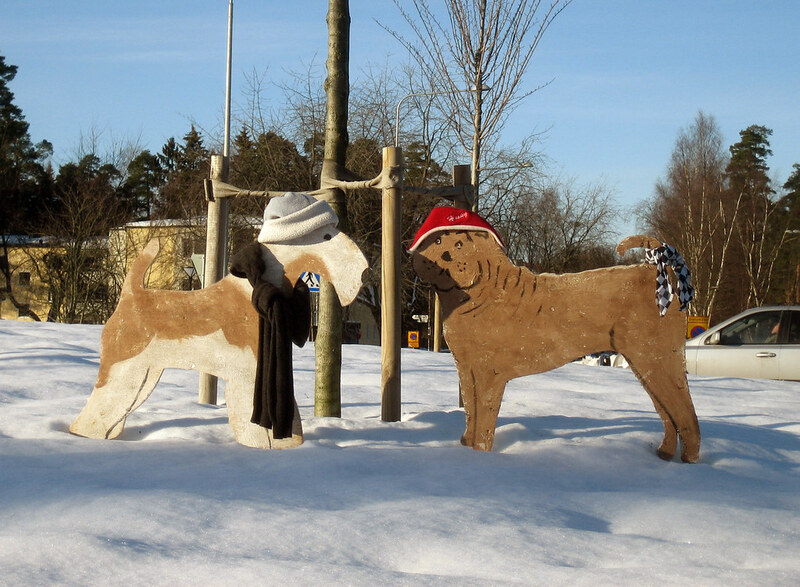 These are the first two Roundabout Dogs in Haninge. 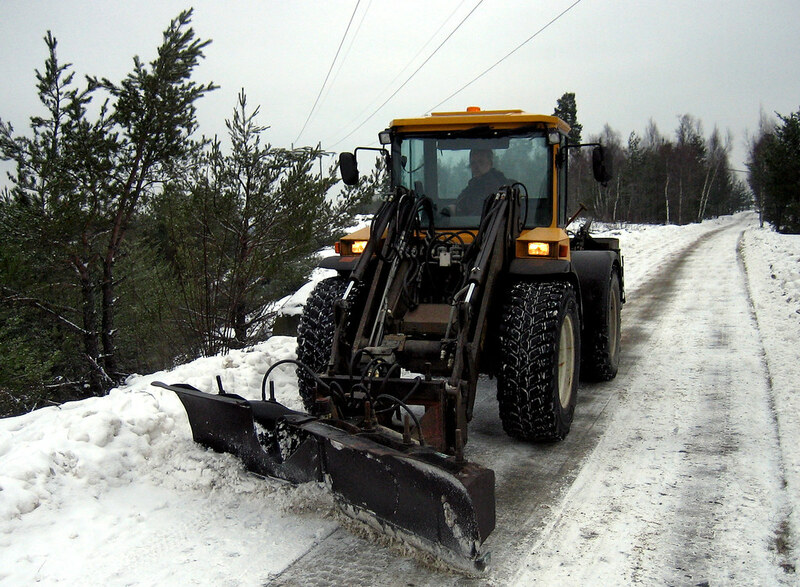 First seen in November 2006. They soon disappeared but last week they were back again. Same dogs without the snow. 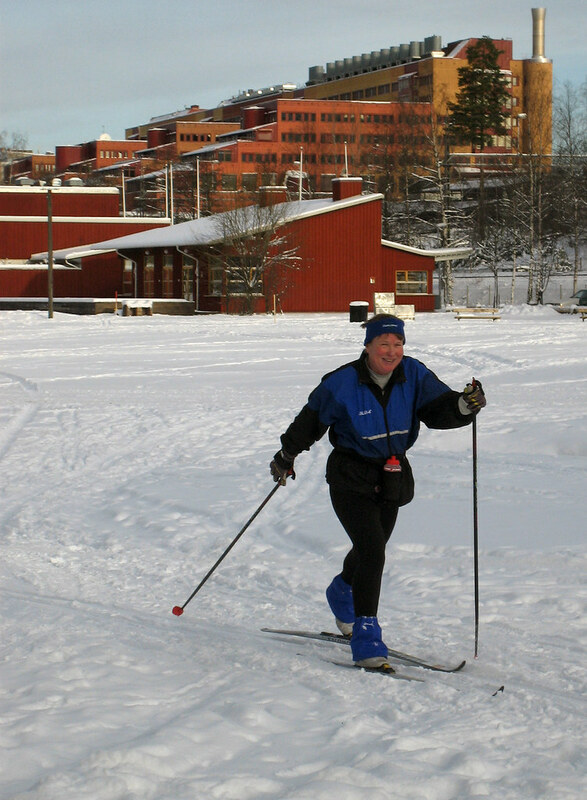 A smiling skier. She probably noticed me in time as I stood there trying to get a few shots of different skiers. From Lake Rudan (now frozen) in Handen. I did see some tracks on the ice but no one skiing on the lake. Only two days left until the winter fishing season gets under way on the ice here. 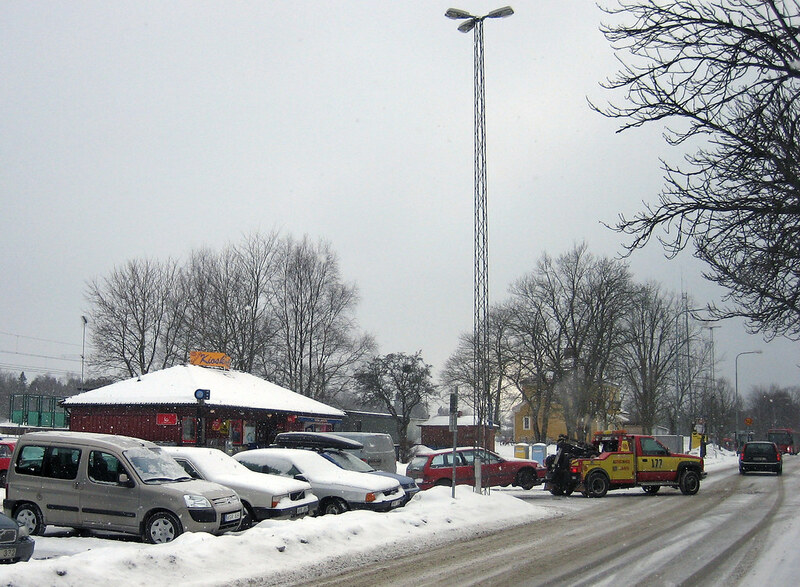 The red building in the background is a restaurant. The other building complex is Najaden. With offices, a hotel and nightclub, and much more including dentists and and the commuter station.